Our company has gained name and fame in presenting Pure Neem Oil. We are highly acknowledged organization engaged in presenting remarkable range of Neem Oil. 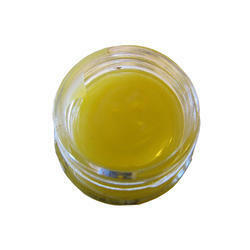 Our company has mastered the art for providing Neem Oil to clients. This product is a vegetable oil pressed from the fruits and seeds of the neem. 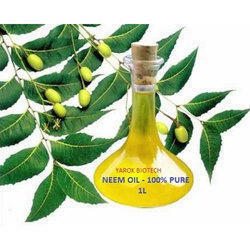 Neem Oil is widely demanded by cosmetic industries, food processing industries and pharmaceutical industries. Offered range is best known for purity and long shelf life. An emulsifiable concentrate, it is made of judicious mixture of neem oil and is suitable for mixing with other synthetic pesticides. The product is non-toxic. Neem is a fast-growing evergreen tree that can reach a height of 15-20 feet. The branches are wide spread. Eco Neem Oil - Virgin, cold pressed neem oil without any chemical usage. Natural, effective plant protectant. Neem Oil is a well known Crop Protector which protects the plants from insects and pathogen. Just add 10 ml of Neem Oil in water with some shampoo to make an emulsion which can be applied on plants.